Vitamin D deficiency is common in newly resettled refugee children and is associated with significant morbidity including rickets. 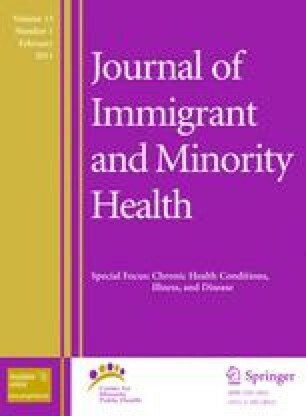 To determine risk factors and burden of vitamin D deficiency in newly resettled refugee children in Australia. A descriptive epidemiological study and survey on refugee children attending an outpatient general health clinic at the Children’s Hospital Westmead, Sydney. 215 patients were examined (age range 0–17 years), (76%) majority were from Africa. Mean serum 25OHD level was 46 nmol/L (SD = 24) (sufficiency range 50–150 nmol/L). 40% had mild deficiency (26–50 nmol/L), 19% moderate deficiency (13–25 nmol/L) and 2% were severely deficient (<13 nmol/L). Deficiency was most common in East African (72%) and Middle Eastern (66%) refugees, children in early puberty (89%) and those living in Australia >6 months (71%). Deficient children were more likely to have had movement restrictions and longer time in hiding in their country of refuge (OR 3:1[CI 0.9–9.7], P = .062). Department of Immigration and Citizenship. Immigration Update: 2005–2006. Available at: http://www.immi.gov.au/media/publications/pdf/Update_June06.pdf. Seel C. A question for Kofi. Egypt today. 2004:Available at: http://www.egypttoday.com/article.aspx?ArticleID=1742.